With every thanksgiving, comes the famous black friday. 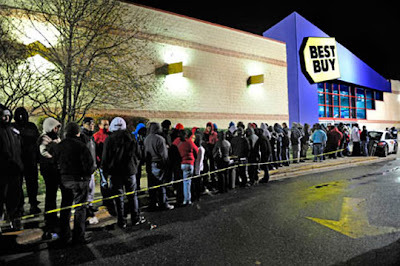 You stay up all night and stand in mile long lines to get those great deals on things you’ve wanted all year long! We want to see/hear your updates! Post your pictures on our facebook and give us a glimpse of the action! Click here to like us on facebook if you haven’t already!